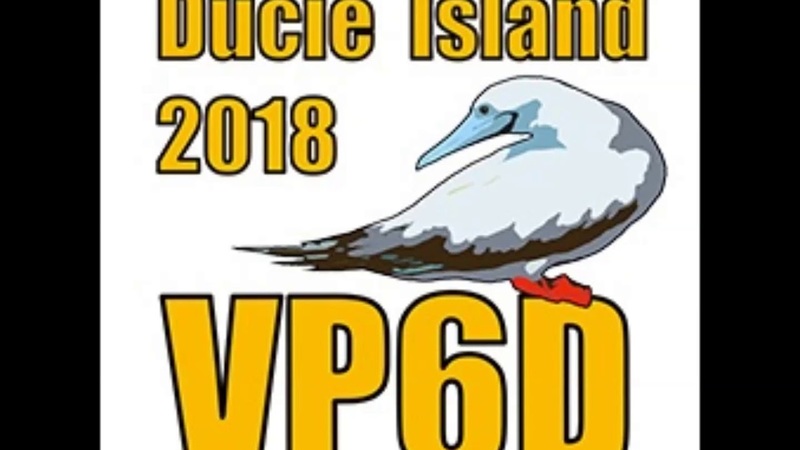 The VP6D – Ducie Island 2018 project is on schedule. At Visalia and Dayton we had the pleasure of meeting many of our supporters and equipment sponsors, including: DX Engineering, Elecraft, SteppIR and Arlan Communications (RadioSport headsets). Several of team attended Europe’s Ham Radio event conducted at Friedrichshafen, Germany where we met with corporate, EU club and foundation sponsors, many EU DXers and other DX-pedition operators. Joining the Pilot Team is Mason KM4SII from Clemmons, South Carolina. Mason, an avid DXer, is 15 years old. In 2017 he operated from Iceland as TF/KM4SII, in July 2018 he will operate from Curacao as PJ2/KM4SII. Mason will work with NA and Chief Pilot Glenn KE4KY. Joining our list of corporate sponsors is Rig Expert Ukraine Ltd (rigexpert.com/). Rig Expert is a recognized leader in the development, production and global sales of antenna analyzers, transceiver interfaces, ARDF equipment and amateur radio software. Rig Expert donated 2 Model AA-55 Zoom antenna analyzers to the project. We appreciate the support of our corporate sponsors. Our current fundraising campaign is underway; you may see the progress at our website. We appreciate the donations and equipment support we’ve already received. Our final payment for the Braveheart is due on September 1st. Please keep in mind, boat/tent/generator DX-peditions incur similar expenses whether or not you make a contact. 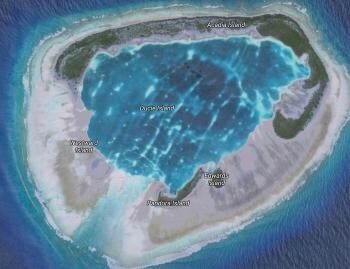 Team members have booked their travel to meet the Braveheart at Mangareva, French Polynesia. This is not a VP6D project expense; each team member pays travel expenses from personal funds. Financial transparency allows the major sponsors to better understand the costs associated with a DX-pedition and how we spend their money. Consistent with our previous DX-peditions, we will send club and foundation sponsors a VP6D financial summary. Good luck to the KH1/KH7Z DX-pedition team, we’ll see you in the pile-ups. http://www.arrl.org/colvin-award-grants We appreciate the ARRL’s confidence in, and support of, VP6D. We’re pleased to announce that Rob Fanfant N7QT has joined the VP6D team. Rob is a DX-pedition veteran whose most recent project was VK9MA Mellish Reef in 2017. Previous projects include: VK9WA Willis Island, Manihiki E51MQT, Montserrat VP2MQT, Austral Islands (TX5Z), Christmas Island, Australia(VK9AN), San Andres (5J0X , HK0/N7QT), Sint Maarten (PJ7/N7QT), Saba (PJ6/N7QT), Austral Islands TX5D), Saint Lucia (J6/N7QT), Saint Lucia (J6/N7QT). We think you will agree that Rob is well qualified for the project and we are happy to add him to the team. As we march towards our departure date of October 16th the project is on schedule. A VP6D working group is currently in Northern California preparing the equipment for shipment to Braveheart in New Zealand. On August 3rd we had the pleasure of meeting Eric Swartz WA6HHQ at the Elecraft factory where we were introduced to the Elecraft team and toured the factory. We then accepted 8 complete K3s stations for use at VP6D. Thanks to Elecraft and all our corporate sponsors for their ongoing support. Today we are continuing the tasks of integrating the radios, computers, software, configuring the network and preparing the shipping cases. We plan an end to end test, from the keyboard to the BGAN to the log server in the cloud . We expect to have the equipment ready for the customs broker by Weds, Aug 7th. Thanks for your continued interest and support of VP6D. Chris N6WM and Walt N6XG report that on the evening of Wednesday, Aug 8th our customs broker accepted the VP6D shipment for transport to Braveheart in New Zealand. The shipment will soon begin its long journey. We appreciate the assistance from: Jim K8JRK, for the loan of the Halliburton cases used for the shipment, Ross K6GFJ for his coordination activities, and Paul N6PSE of the Intrepid DX Group for their loan of a BGAN and additional Pelican cases. Also, while in California we attended meetings with members of the recently completed KH1/KH7Z Baker Island project for a debrief. We were especially interested in their FT8 experience. After a short delay the VP6D equipment is on its way to Braveheart in New Zealand. The shipment was consolidated on to 5 pallets, with a total weight of 1,615 kg (3,553 pounds) and released to Cathay Pacific Cargo airlines by our customs broker in Hayward, California. The shipment was trucked to San Francisco International Airport for delivery to Cathay Pacific’s cargo hub in Hong Kong. From there it goes to Auckland, New Zealand where it will clear Customs and Bio-security, then taken to our customs broker in Tauranga, New Zealand for delivery to Braveheart. We built in plenty of buffer to meet the contracted date to load Braveheart and manage any unexpected delays. It’s been a busy several weeks to get all the equipment consolidated, integrated, tested and packed for shipment. The short delay allowed us to add a few late arriving items: SPE high power amplifiers, a spare set of band pass filters and a drone, we think you will agree the delay was justified. At Braveheart’s warehouse the pallets will be unwrapped and inventoried. The shipping cases will not be opened unless visibly damaged. The next major milestone will be in October when team members begin their journey to meet the Braveheart at Mangareva, French Polynesia. It's been a long 16 months of detailed planning and coordination - the target is now in sight. In case you missed the latest Clublog update, VP6/D is shown as #19 Most Wanted. A real challenge for DX-pedition teams on uninhabited islands is knowing where in the world they’re being heard. The usual pilot reports tell us what happened, not what’s happening, propagation predictions tell us what might happen. We understand that propagation may produce only short openings from Ducie Island to many locations around the world. For example, it’s not unusual for an EU opening to occur but EU callers are covered up by callers from other geographies. Until propagation changes for the better the EU stations can’t get through. We have therefore augmented our pilot process to quickly identify these openings and get this information to the VP6D operators so they can exploit them. We’re confident this new capability will result in more timely coverage of difficult paths. No one likes to be continually asked for donations. Today’s reality is DX-peditions to ecologically sensitive and restricted entities are expensive. Our boat and the freight invoices to New Zealand are now paid, the team is hoping to cover ~50% of the project cost. Our fund raising target plus projected OQRS income should cover the remaining 50%. These bills must be paid whether or not you make a Q. We have a team of A1 operators who have been working on this project for 17 months, they can use your help. Look for another announcement in the next press release on or about Sept 21st.